Holmarc’sdigital traveling microscope Model No. HO-DTM-01 is equipped with a 5MP CMOS color camera instead of an eyepiece. A ring type LED illuminator is provided around the objective for illuminating the objects. 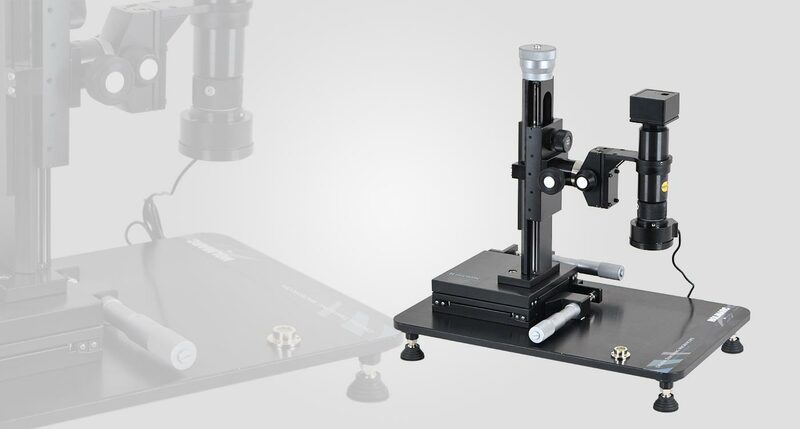 The microscope is mounted on a heavy wide base with four point support for extra stability and leveling. The extra wide base can also be used for placing large objects for measurements. The horizontal (X, Y) and vertical (Z) stages are fabricated using precision roller bearing slides with micrometer head for precise and accurate measurements. Both stages provide 50 mm travel with 10 micron resolution. The vertical stage (Z stage) is equipped with 130 mm coarse travel and 25 mm fine travel with 10 micron resolution. The coarse movement can be done by moving the stage by hand and after locking the stage at a particular position the fine movement can be done by the micrometer head. The microscope tube is mounted on a rotating arm which is 360 degree rotatable and lockable. A rack and pinion type focusing mechanism is attached to the microscope tube for focusing the objects. The microscope tube is fitted with 3X long working distance objective, ring illuminator and CMOS camera. An image grabbing software is also provided with HO-DTM-01. With this software the user can capture the image by selecting suitable imaging parameters (like resolution, color or monochrome, exposure, etc.) and save it to a computer for later / further analysis. A reference cross line is integrated in the software for performing the measurements. 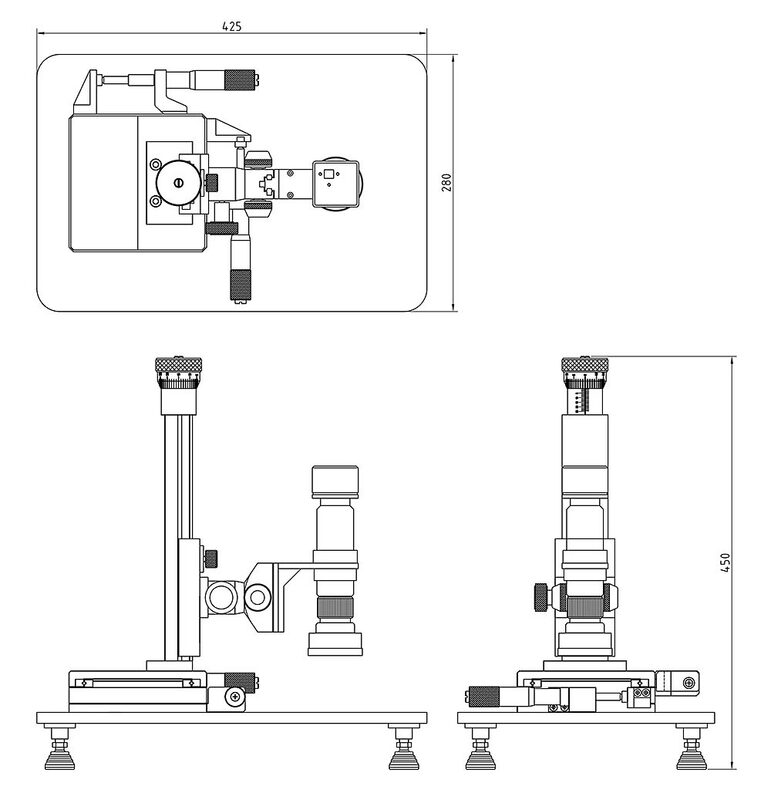 We can provide custom configured traveling microscopes on request. Contact us at sales@holmarc.com, mail@holmarc.com.